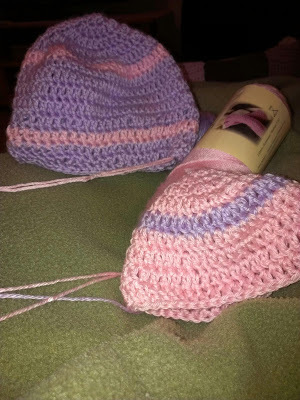 My plan is to finish the flowers for these hats tonight that a friend commissioned me to do. Amazingly, the sizes came out right when they were tried on earlier. I might be getting the hang of hats.